There is no single cause of suicide. No one cause or event makes a person consider suicide. Suicide is a result of multiple stressors that make an individual feel out of control, hopeless or unable to change what is happening. 1. Talk with your family, friends about suicide. Contrary to myth, talking about suicide does not give someone the idea. 2. Spread the word. 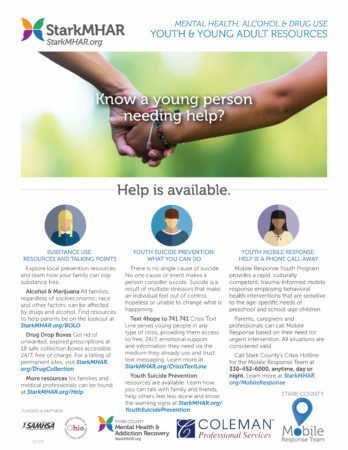 Help is available. No one needs to feel they are alone. 3. Know the warning signs. Suicide can be prevented. Every parent would like to believe that suicide is not relevant to them or their family or friends. Unfortunately, it’s all too relevant for all of us. It’s the second leading cause of death for youth age 10-24. 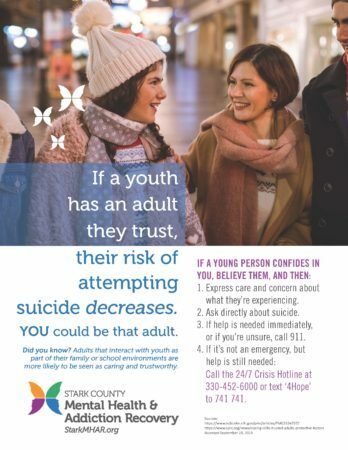 Even more disturbing are national surveys that tell us that 17% of high school students admit to thinking about suicide and almost 8% acknowledge actually making an attempt. 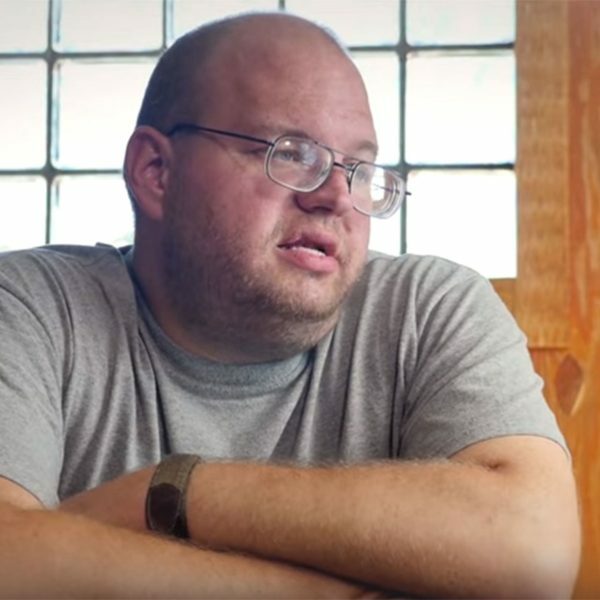 The unfortunate truth is that suicide can happen to any kid in any family at any time. Contrary to myth, talking about suicide cannot plant the idea in someone’s head. It actually can open up communication about a topic that is often kept a secret. And secrets that are exposed to the rational light of day often become less powerful and scary. 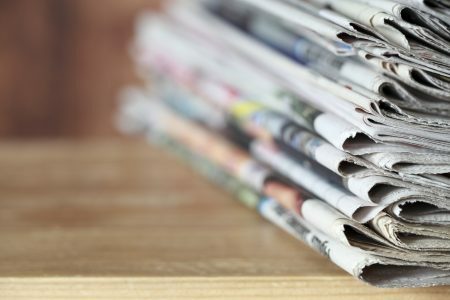 You also give your child permission to bring up the subject again in the future.“Findings suggest acknowledging and talking about suicide may in fact reduce rather than increase suicidal thoughts. 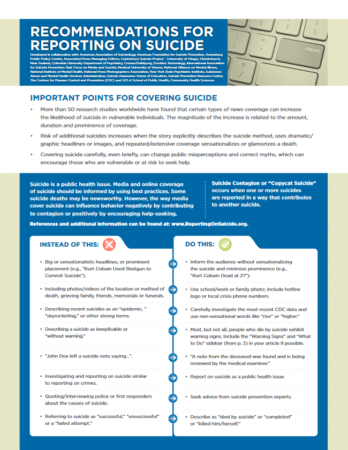 Suicidal thoughts or actions are a sign of extreme distress, not a harmless bid for attention, and should not be ignored. 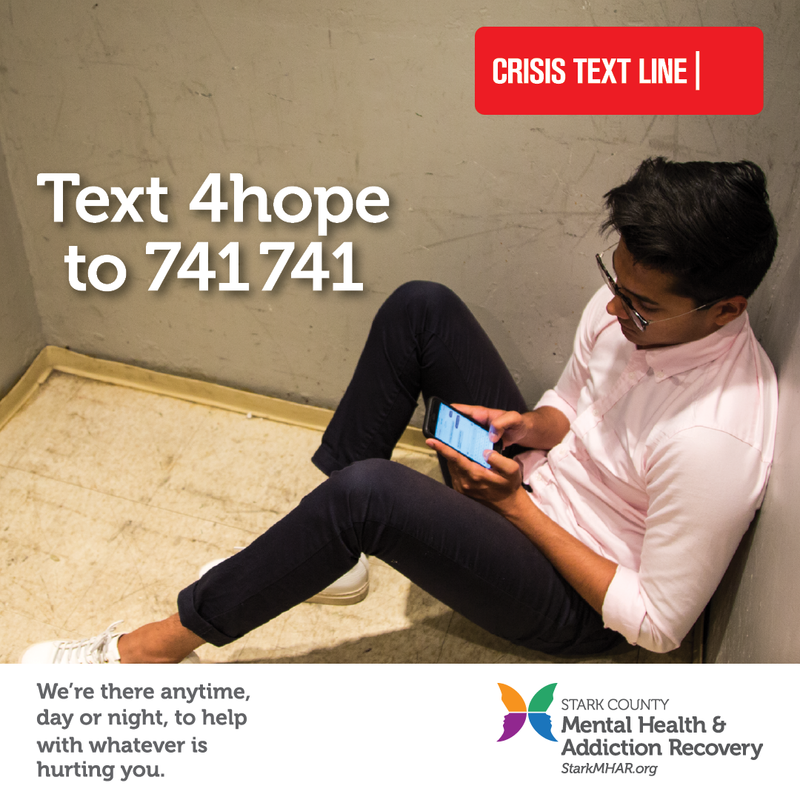 Often, family and friends are the first to recognize the warning signs of suicide and can be the first step toward helping an at-risk individual find treatment with someone who specializes in diagnosing and treating mental health conditions.” So, if you are ever in doubt, ask. If this is a hard subject for you to talk about, admit it! (“You know, I never thought this was something I’d be talking with you about, but I think it’s really important.”) By acknowledging your discomfort, you give your child permission to acknowledge his/her discomfort too. Gun Safety It is a fact that reducing access to lethal means, namely guns, reduces suicide attempts. Many times, when lethal means are not readily accessible, people will not seek out alternative means that may be harder to get or take more time. This is just one reason why locking your gun is every gun owner’s responsibility. Many police departments provide free gun locks. Contact your local police and lock your gun today. 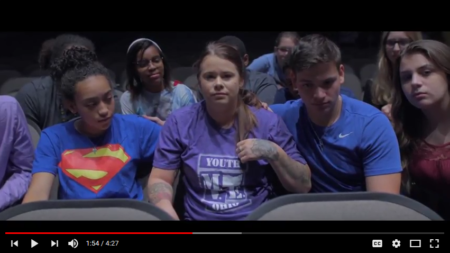 View Youth MOVE PSAs featuring GlenOak High School teens reminding peers to take care of their mental health. Keep hope alive. Each year in the United States, people of all ages complete suicide. 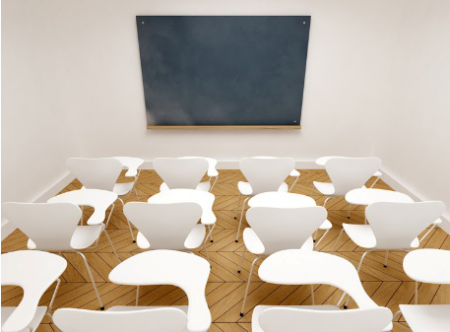 Approximately 80% have given warning signs to their families, friends and neighbors. 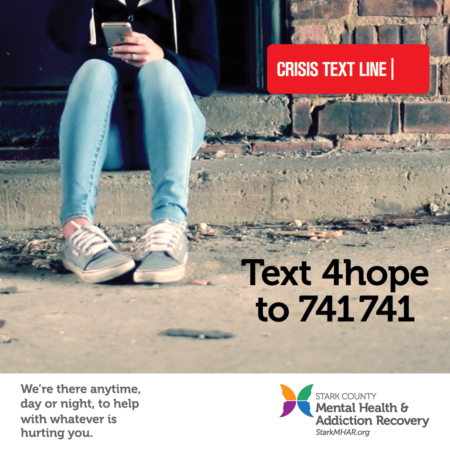 Youth Mental Health First Aid is designed to teach parents, family members, caregivers, teachers, school staff, peers, neighbors, health and human services workers and other caring citizens how to help an adolescent (age 12-18) who is experiencing a mental health, addiction or crisis. The course introduces common mental health challenges for youth, reviews typical adolescent development and teaches a 5-step action plan for how to help young people in both crisis and non-crisis situations. Feeling sad, down or empty? Constantly worried or anxious? Experiencing mood swings from very high to very low? 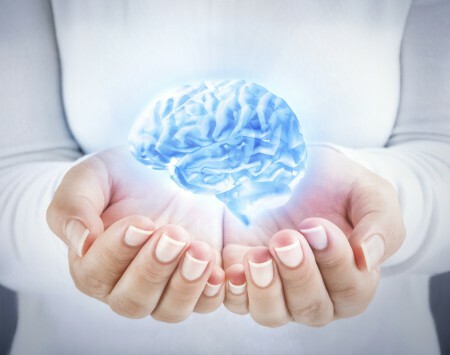 Mental health is a key part of your overall health. 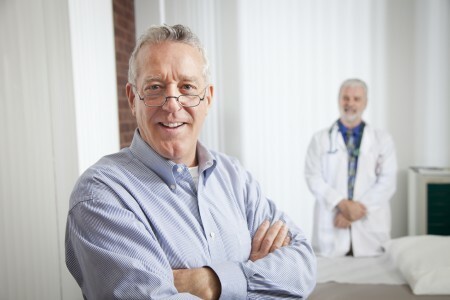 Brief screenings are the quickest way to determine if you or someone you care about should connect with a mental health professional. This online quiz is completely anonymous and confidential, and immediately following the brief questionnaire you will see your results, recommendations and key resources. getting involved: What can I do locally? Join the Stark County Suicide Prevention Coalition as we work together to save lives. 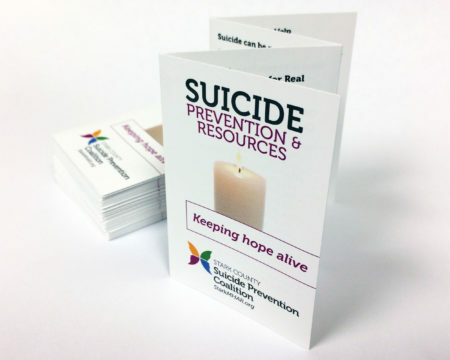 Invite a Coalition member to your business, church, school or community organization to help plan an activity and/or provide suicide awareness and prevention training. 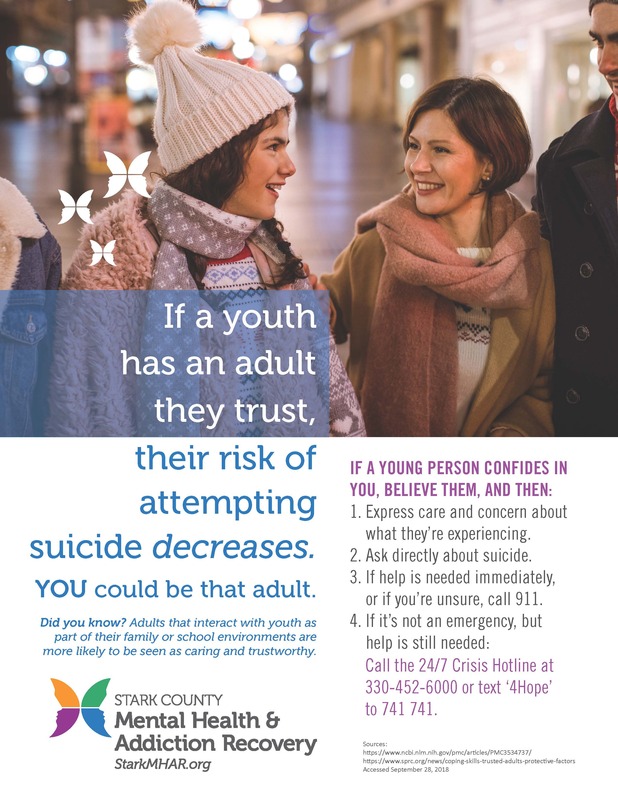 To learn more about the Stark County Suicide Prevention Coalition, contact Elena Aslanides-Kandis at 330-455-6644 or Elena.Kandis@StarkMHAR.org. Language and the meanings attached to words often impact, influence, develop and change the attitudes towards these disorders. 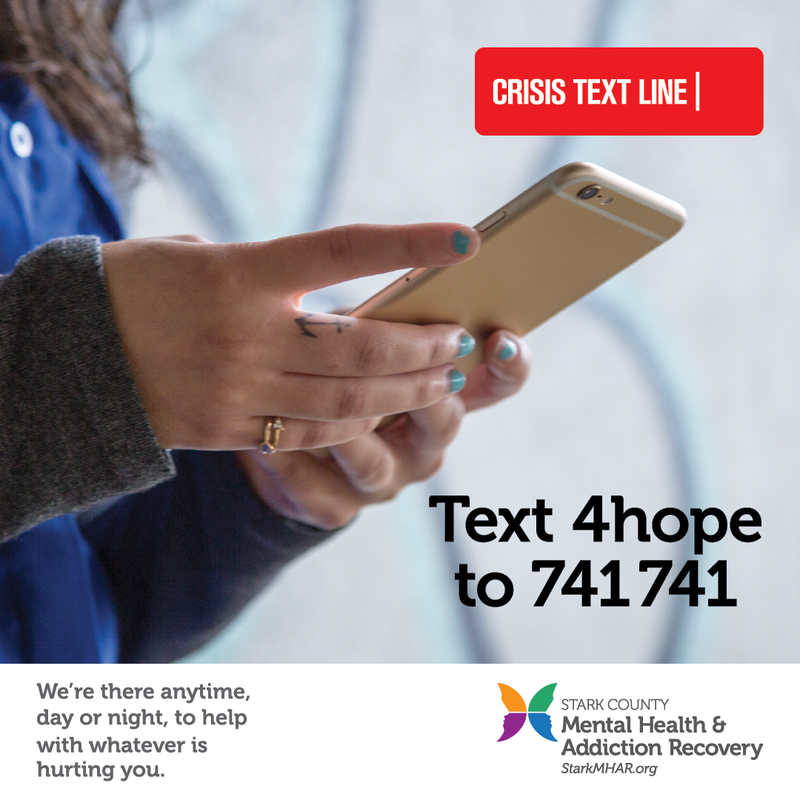 Your word choices help illuminate and create greater understanding of these mental or substance use disorders and, by doing so, make it more likely people in need will seek help. Conversely, your choice of words can perpetuate stereotyping and discrimination.